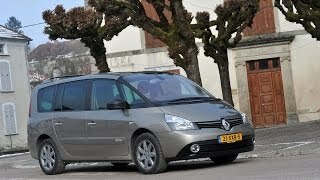 The Renault Espace has been one of the most successful family vans of all times and the fourth generation which has been in production since 2003 received a brand new (and probably last) facelift in an attempt from the French carmaker to keep the vehicle appealing at least until the 5th generation hits the market. 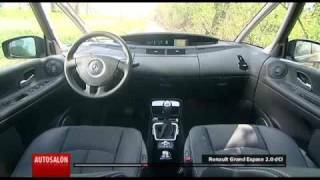 Under its hood the Renault Espace 2013 offers a choice of two engines. First there's a 2.0 liter dCi unit that delivers either 128, 148 or 173 horsepower. 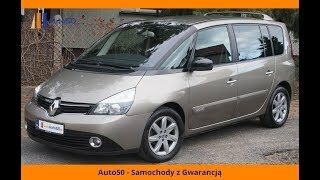 When mated with the manual gearbox the fuel economy is rated at 5.7 liters / 100 km (41.3 US mpg). Coupled with the automatic transmission the 2.0 liter dCi engine is rated at 6.4 liters / 100 km (36.8 US mpg). The second choice in terms of engine variants is a 2.0 liter turbocharged F4Rt petrol engine (which I believe is the silliest name for an engine, or anything else for that matter). The fuel consumption of the turbocharged 2.0 liter unit is rated at 8.5 liters / 100 km. In terms of exterior design there are some changes brought by the new model but they seem rather minimal. Notable changes include the redesigned front grille, a larger Renaultlogo and an overall new front fascia. Modifications on the interior of the new face lifted model are also scarce but new features have been made available such as GPS navigation, USB, AUX and Bluetooth connectivity, and Teflon-coated upholstery designed to repel oil-based liquids and water. Optionally the 2013 model can be equipped with leather or Alcantara seats, rear seat entertainment system consisting in two 7-inch screens and a rearview camera. Other standard features include Carminat TomTom Live navigation system, electronic parking brake and hands-free. 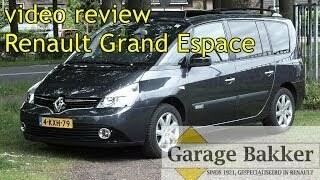 As with the previous models the characteristics that made the Espace a successful family vehicle remain available, including the generous cabin space, the high visibility and panoramic glass roof, as well as the modular layout that enables you to change the position of the seats to your exact needs. 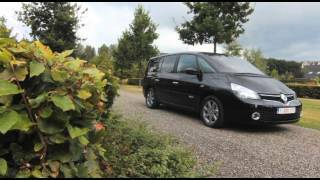 Bottom line is, if you're on the lookout for a family car and the Ford C-Max is not really your cup of tea, the Renault Espace 2013 might just do the job.